TCR Engineered T-Cell Therapy 2018: an industry analysis of technologies, pipelines, stakeholders & deals an industry analysis of technologies, stakeholders, deals & trends | Market Research Reports® Inc.
TCR Engineered T-Cell Therapy 2018: an industry analysis of technologies, pipelines, stakeholders & deals an industry analysis of technologies, stakeholders, deals & trends report is published on May 20, 2018 and has 294 pages in it. 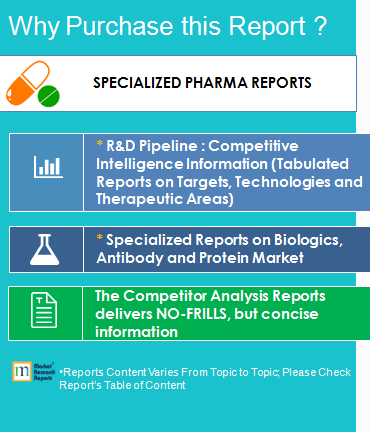 This market research report provides information about Pharma & Healthcare, Biotechnology, Drug Pipeline, Healthcare industry. It covers Global regional market data and forecasts. It is priced starting at USD 2,500.00 for Single User License (PDF) which allows one person to use this report.